One of the many artists signed to Reach Records, Christian hip-hop artist and music producer for Reach Records, GAWVI (which is his stage name, real name- Gabriel Alberto Azucena) has been around the music industry for a while, producing songs for a myriad of Christian hip-hop/rap artists, from Trip Lee, Lecrae, Andy Mineo and Tedashii, to KB, Derek Minor and Social Club Misfits. Now venturing out on his own, GAWVI released a relatively popular debut album We Belong in 2017, featuring singles ‘Closer’ and ‘Like We Belong’, the latter featuring former CCM Dream Records artist Jonathan Thulin (who now goes by the name Andreas Moss) on vocals. Now fast-forward a year or so and GAWVI releases a new song, this time featuring rap-hip-hop powerhouse, Lecrae on backing rap sections. ‘Fight For Me’ dropped to digital outlets in July 2018, and features GAWVI singing- a feat that we have seen only a few times before on his debut album We Belong. While GAWVI himself may not be as popular in the CHH scene (Christian Hip Hop) compared to other artists like Lecrae, Andy Mineo, KJ 52, Manafest, KB, NF and the like; GAWVI nevertheless has heart and passion, evident in much of his earlier material, and especially his new song. In fact, it has been this new song ‘Fight For Me’ that has made myself have a little more interest in his debut album, which frankly I haven’t really heard that much of. 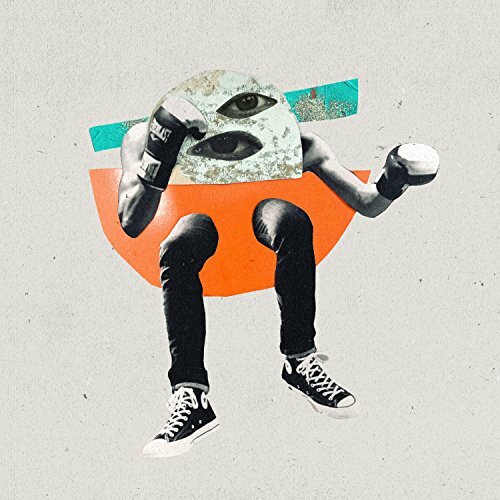 Nevertheless, this new song from GAWVI is a welcomed addition if you are a certain fan of the CHH genre, or if you enjoy GAWVI singing, something that has been few and far between…up until now! ‘…I wrote Fight For Me from a frustrated place I was in last year with feeling like Christian industry wasn’t supporting/understanding the music I loved. Like in anything there are always rules and I hated being stuck to it. As I kept writing I realized this song was bigger than my frustrations. Everyone is fighting for something they believe in or to survive. Fighting to have papers in the States, fighting to have a relationship with a dad, fighting to be the first female president, fighting for dreams and fighting for the Kingdom. We all need someone to fight for us…’ This above quote written by GAWVI himself on twitter of all places, a quote that represents what he was feeling when writing ‘Fight For Me’, I have come to respect and love the song all the more, knowing a little about the story behind such a poignant and heartfelt melody. Written from a place of frustration, the song has become a hopeful encouragement and anthem for many as we understand that God fights for us, even if we don’t believe it at that very moment. The song itself is very much universal- it doesn’t mention ‘God’ or ‘Jesus’, even though I’m sure that’s what GAWVI had in mind when writing the song, but that doesn’t mean that the song doesn’t have its desired impact. ‘Fight For Me’, because of its universal appeal, can reach a wide audience…and that’s ok. The song I’m sure can inspire people and transcend race, religion, culture and social norms, breaking through ideologies and asking the tough questions- will we have someone to fight for us when the chips are down, be it God above, or friends and family here with us? This is a question we all need to answer, here’s hoping this song facilities discussion around such a theme, as we realise and focus on the fact that even if we’re in a moment where we believe no one is fighting for us, God is there, and our family and friends also, even if we only discover them to be, in hindsight. GAWVI’s new song with Lecrae is blowing up and impacting the airwaves over the last few months…and so it should. The song itself has become one of the most underrated of 2018 thus far, and listening to it has made me re-evaluate what I think about rap and hip hop music in general. GAWVI’s heart and passion to create music that is not afraid the ask questions is something I believe will catapult him into popularity in the future, and this song is and should be considered to be a starting point for anyone who is not familiar with his music. GAWVI is a rapper for the generation of now and into the future, and his new release is testament to his heart and enthusiasm to create art that makes us challenge the status quo we are in. Well done GAWVI for such a compelling song, can’t wait to the next full length album- a follow-up to We Belong, whenever it arises!